Perception. It can hinder potential friends and send the wrong signals to others. Sometimes, people think I’m unfriendly or assume I’m an ice queen without getting to know me first. Ken however, looked past that and we became friends. 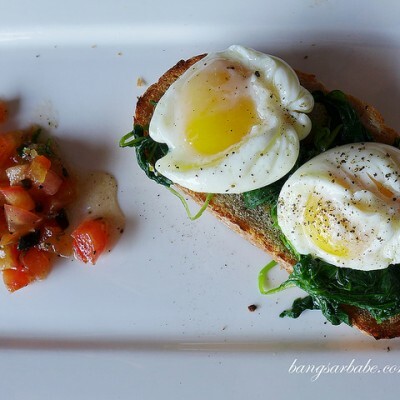 Unlike some people I know, he is always happy to share his food discoveries and often steps in when I’m facing technical problems with my blog. 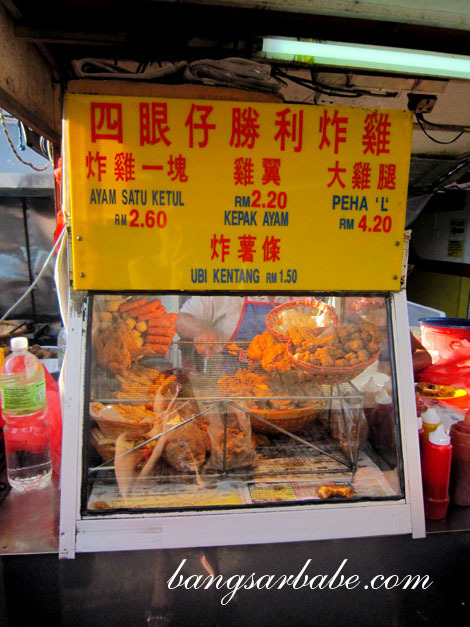 Among some the food places he recommended are Klang Fried Chicken, Penang Curry Mee, Frankie Char Kuay Teow, Sek Yuan, Yamagoya and Jalan Sayur Wai Sek Kai which I’m going to share with you today. 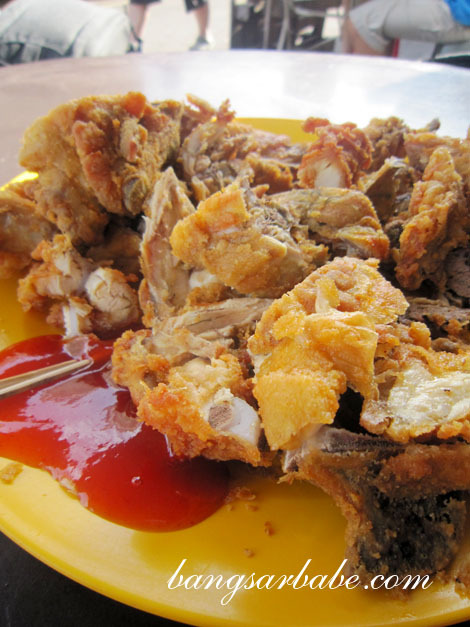 We started with some fried chicken carcass (RM2.60 each) where the bones of the chicken were dipped in a light batter and fried till crispy. 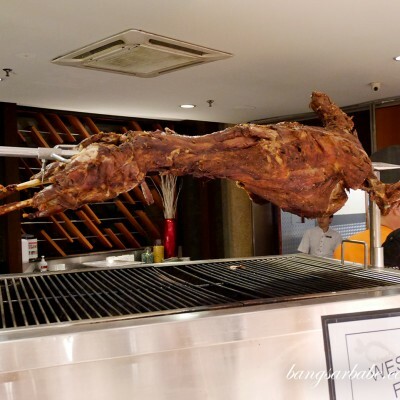 While it was nicely seasoned and quite tasty, I still prefer eating chicken meat rather than bones. 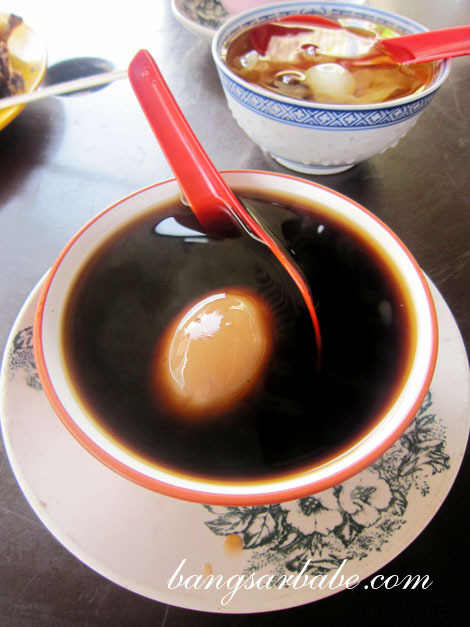 I was also given an introduction to the dan cha (RM1.90), loosely translated as ‘egg tea’. This herbal tea had a hard-boiled egg inside – the bittersweet flavour of the tea paired nicely with the egg, especially the yolk. A bit odd for me, but I enjoyed it. Luk Mei (RM1.90) comprised longan, quail egg, lotus seed, white fungus and another two ingredients I couldn’t make out. Since it was sweltering hot, I found this very refreshing. My favourite of the three tong sui was the steamed egg custard (RM1.90); firm yet wobbly with a silky smooth texture. Good stuff! I was told this gets sold out by 5pm (the stall opens at 3pm) so get there early or be disappointed. 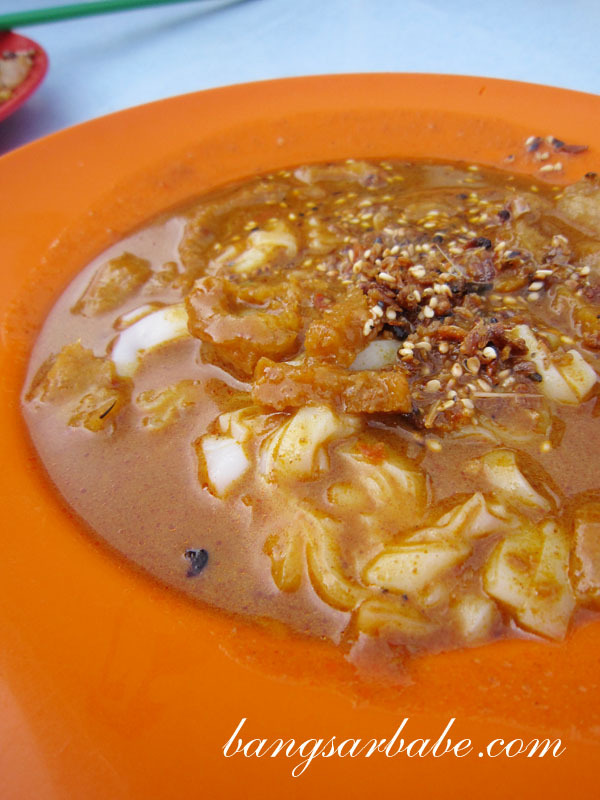 The curry chee cheong fun (RM1.40 – small) was aromatic, well balanced and not overly spicy. 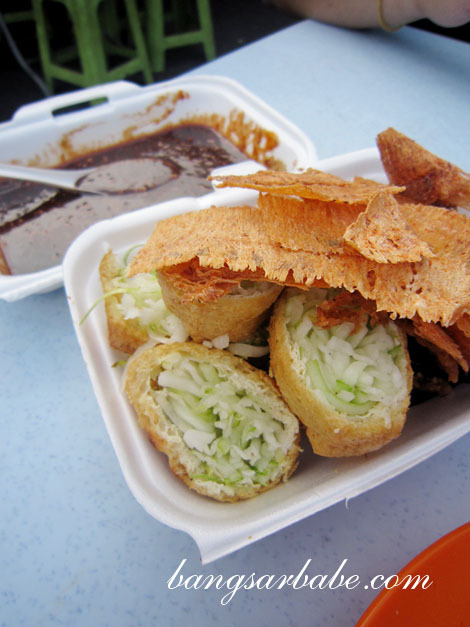 If you’re not a fan of curry, there’s an option of black sweet sauce as well. I’m not a fan of steamed yam cake, but this one was too good to pass up. 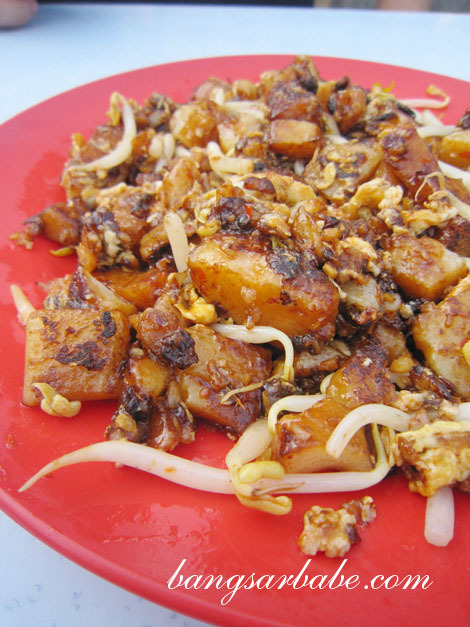 This wu tau kou had a firm yet soft texture with yam cubes, dried shrimp and chopped shallots. I even finished Ken’s portion of this (sorry!). 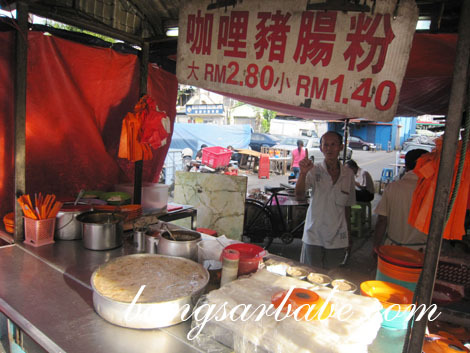 One of the more popular stalls here is the fried carrot cake stall, so we ordered a plate (RM4.50 – small) to try. While this carrot cake boasted a good wok hei and was crisp around the edges, I found it slightly on the salty side. Although slightly pricey, the taufu bakar and grilled cuttlefish (RM14) was of a generous portion. 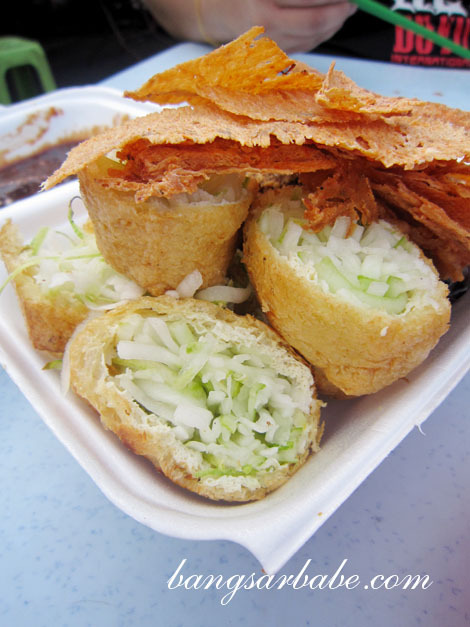 The tofu puffs were filled with julienned cucumber and beansprouts, and tasted delicious with the thick peanut paste. 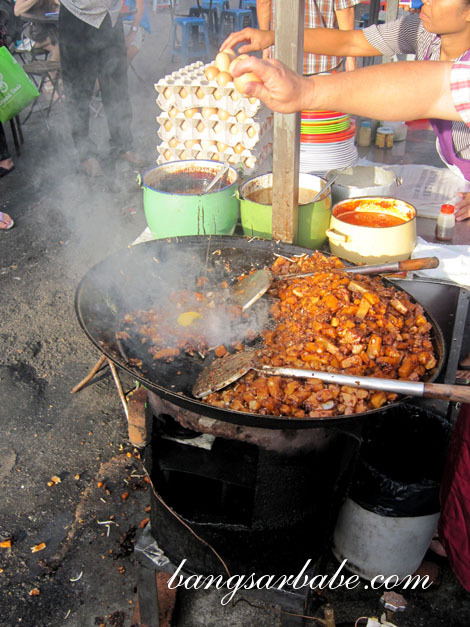 I also enjoyed the grilled cuttlefish – pungent but addictive. The sugarcane with lemon (RM2) took a while to arrive. Don’t bother reminding the aunty, unless you fancy getting told off for hurrying her. That aside, this was very refreshing. The lemon gave the otherwise ordinary sugarcane water a nice twist. We ordered another cup to share. Waaa….Taman Salak Selatan? Nao I wanna go! 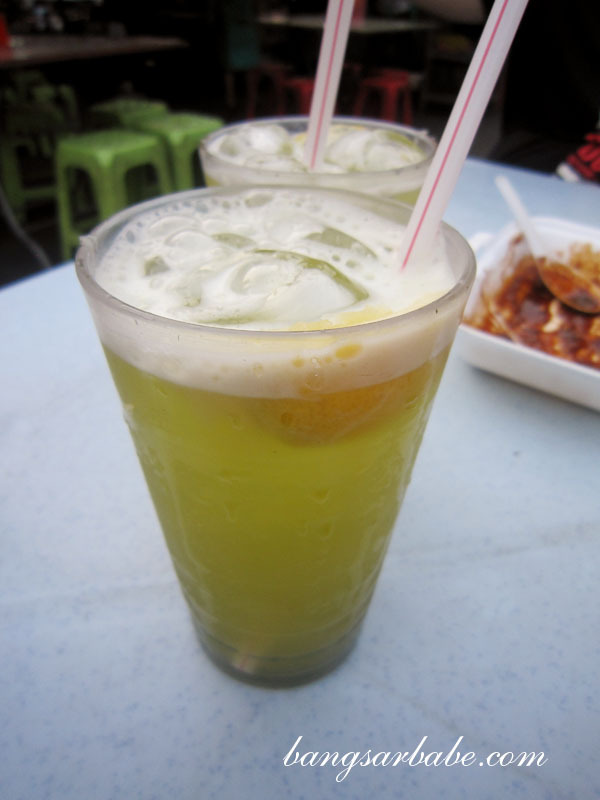 I had my 1st sugarcane drink + lemon at Seremban Wet Market…indeed very refreshing..especially during this hot weather! 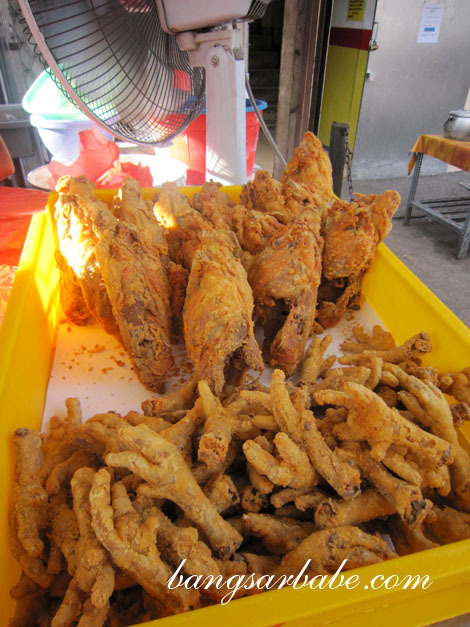 BTW…Did you try the fried chicken feet? No wor…I dunno how to eat it lol! 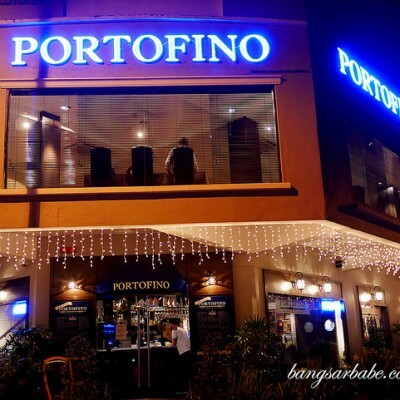 I only tried that fried chicken before, somemore is tapao , I think I need to explore this place soon! THE Steamed egg custard looks good. I shall give a try someday. Hahaha…you try and let me know la! 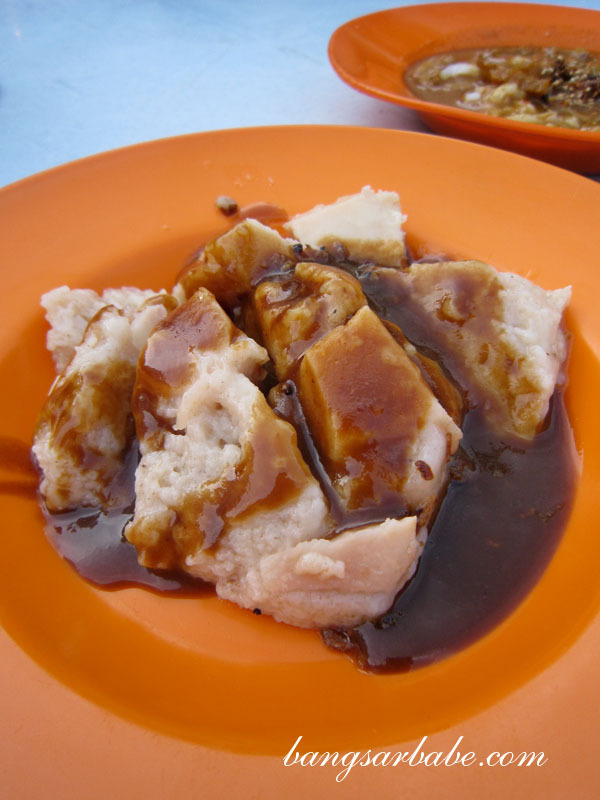 how is the taste of steamed egg custard compare to the ipoh ones? Fried chicken stall is a good one (love it), queues formed on a regular basis. 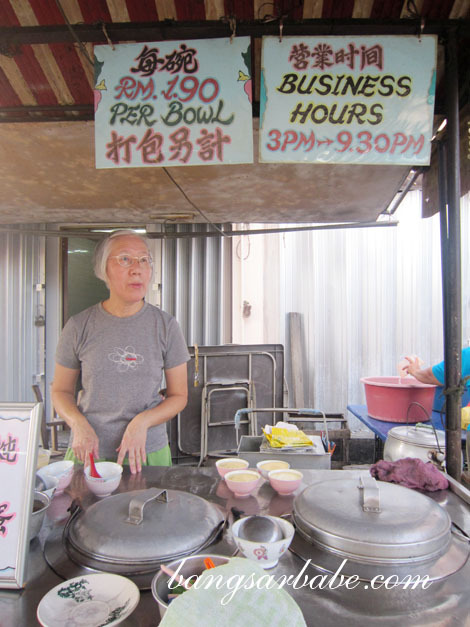 Another popular stall is Pork Mee (beside porridge stall) Tell u a story, the pork mee guy had some kind of feud with porridge & lok mei stall , if u order from either one of them, they will not bring it to you if u sit at rivalry’s table. im not sure if the feud is still on but from many years back, that was it. haha.